We caught up with Kelly Hunter to discuss her book, Shakespeare's Heartbeat. Read on for our exclusive interview to find out what inspired Kelly to write the book! 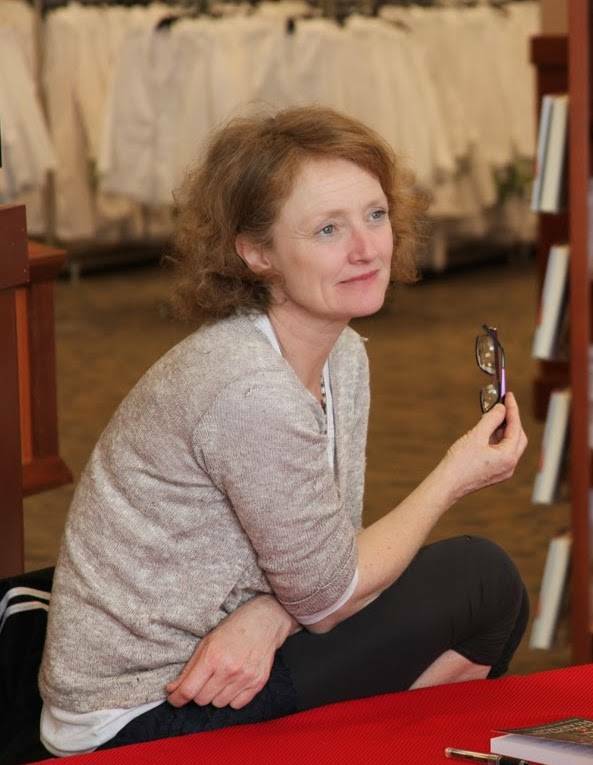 Kelly Hunter is the Artistic Director of Flute Theatre, for whom she has created Hamlet, Twelfth Night, The Tempest for children with autism and A Midsummer Nights Dream for young people with autism and their families. Hamlet was first performed at the Gdansk Shakespeare Festival in August 2015, since then it has performed at major European Shakespeare festivals in Romania, Germany, Denmark, Spain, Hungary and Trafalgar Studios in London. The Tempest was created for the RSC in co-production with Ohio State University. It first performed in Stratford upon Avon and Columbus Ohio in 2014 and subsequently at the Bloomsbury Festival, London 2015, The Help Centre LA 2016, Clasicos en Alcala 2016, the Festival of Love, Southbank Centre 2016, Orange Tree Theatre, Richmond in 2016 and Teatre Lliure in Catalan. A Midsummer Night’s Dream premiered at the Orange Tree Theatre in 2017 and has toured to Kansas City Heart of America festival in January 2018. IN March 2018 it performed at the Bridge Theatre London and in April 2018 it was performed in Catalan at teatre Lliure Barcelona. Twelfth Night premiered at Almagro Festival in 2017 where it was awarded First Mention. It is currently touring Romania and Germany. Kelly is an award winning actor, she has performed with the RSC, Royal National Theatre, English Touring Theatre and Vesturport. She is the author of two books, Shakespeare’s Heartbeat, drama games for children with autism published by Routledge and Cracking Shakespeare; A hands-on guide for actors and directors published by Bloomsbury. From 2002-2006 she was the Artistic director of Touchstone Shakespeare Theatre, a company set up to offer Shakespeare to children with no access to the arts. Kelly has created a series of sensory drama games named The Hunter Heartbeat Method, which form her work with children with autism. This methodology was the basis of a longitudinal study at Ohio State University 2011-2015 and is the basis for research studies currently being undertaken at University College London. Shakespeare’s Heartbeat introduces the Hunter Heartbeat Method; a series of sensory games that I have created for children and young people with autism to play, they are games of humanity that need only the human voice and body and another person to play with.The book offers parents, teachers and artists a whole new way of playing and communicating with young people on the autism spectrum.Through reading the book and trying the games, the reader will be able to see autism through a new prism and thereby take away a deeper understanding of the struggles experienced by those with autism. This deeper understanding offers the reader an opportunity to develop their own unique way of working with young people on the spectrum as they continue to explore the many games offered. What first attracted you to helping Autistic children through the medium of performance? Twenty years ago I gave myself the mission to develop ways of introducing Shakespeare to children with no access to the Arts. I began working in a special school in South London and was told by the teachers that I could play with any of the children except the ones with autism as they ‘wouldn’t be able to play’. Although I had no personal experience of autism I challenged this assertion and asked again and again if I could play with these children. 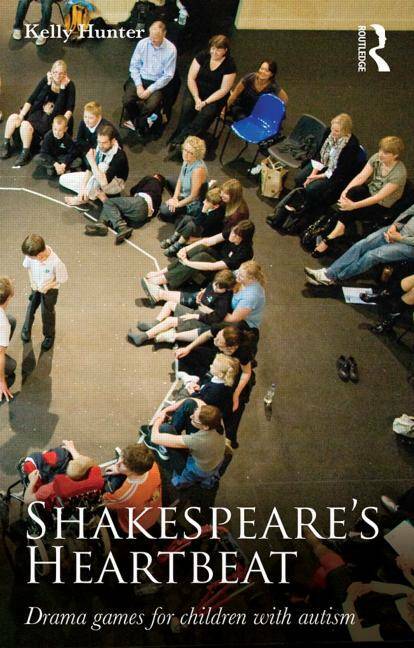 When I finally started working with them, it was immediately clear that the essential themes of Shakespeare that fascinated me- the rhythm of the heartbeat and the Mind’s Eye- were at the centre of the struggles the children were dealing with; making eye contact, expressing feelings, accessing their mind’s eye and keeping a steady heartbeat. I started to create games that the children could play, embedding seemingly unattainable skills in games derived from moments in Shakespeare. I stayed with that first group of children for the next three years and little by little with trial and error they taught me how to teach them. The games in the book were all developed through working with this first group of children. There is growing research toward proving that people’s heartbeats synchronise when joined together in an audience. This research is being undertaken at UCL, whose Neuroscience department collected data during our most recent London performances of A Midsummer Nights Dream for young people with autism. It is a mark of the power and validity of the games that they are being used as a basis for this ongoing research. The book is the only current source in which the games are described, in detail and with the authority and expertise of their creator. Therefore the only place where the recent and ongoing research developments can be directly referenced and referred to, are in the book. As far as I know these games are genuinely unique. The complementing of Shakespeare with autism that I have developed is a stand alone practice. There are many books that describe how to play games of Shakespeare and many excellent books on how to play with children with autism. However none offer my particular methodology. Each page has first hand anecdotes of my successes and failures in playing with children and young people as I have developed the work over the years. These anecdotes stand out, offering the reader direct human experience rather than theoretical teaching. This anecdotal human experience is vital when dealing first hand with children with autism. With my company Flute Theatre we create productions of Shakespeare for children and young people on the spectrum, incorporating the games I have invented. 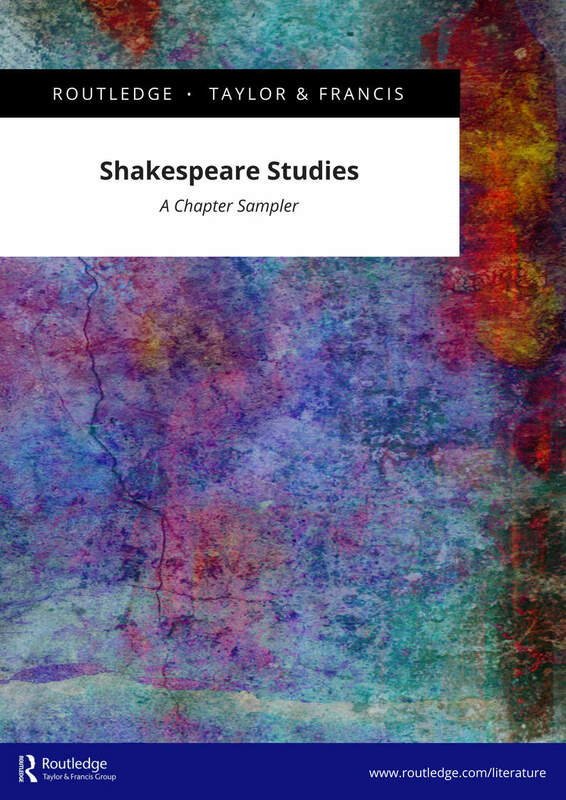 These productions are performed worldwide and translated into other languages, allowing us to explore the gesture and inflection inherent in Shakespeare’s words and narratives beyond English. Next in the pipeline :we have been commissioned to make a new production in Swedish at Folkteatren Gavleborg in Spring 2019. This will be Pericles. If you were given the opportunity to form a book club with your favourite authors of all time, who would you pick? The collected works of Philip Roth and Primo Levi, everything that they have written, again and again. Their books get deeper and more enriching each time I return to them. Each sentence they wrote is a source of deep inspiration to me. How important do you think it is to use games to encourage or help children? It is absolutely vital to play with children, all children. A childhood spent without playing games is likely to create an adulthood of fear and anxiety. The question of why this may be so and the deeper nature of playfulness is something that I write about throughout the book, arguing that all children deserve to play. Children with autism may find making eye contact almost impossible but I found that they will happily do so within the context of these games. If they can begin to make these breakthroughs during their playfulness it can only have a positive effect on their everyday lives.